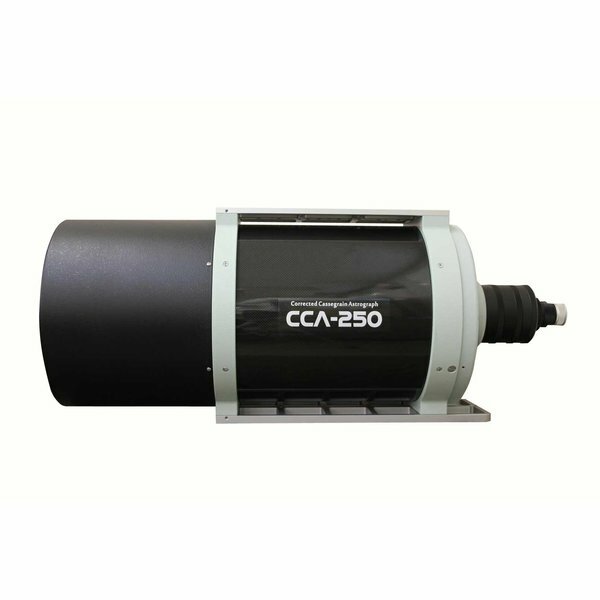 The CCA-250 is Takahashi’s modified Ritchey–Chrétien, developed as a replacement to the BRC-250 and is designed with imaging in mind. 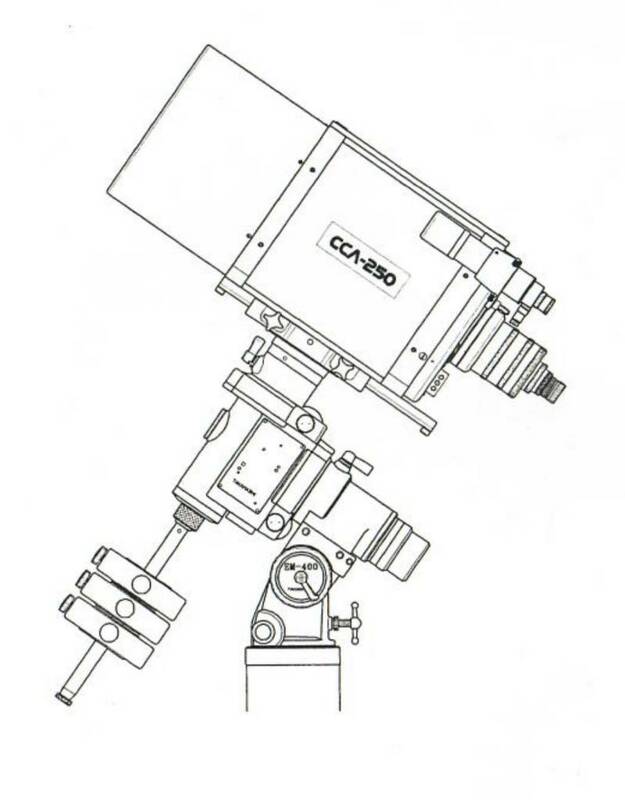 The CCA-250 produces a flat field across an 88 mm image circle. At prime focus, it is a 250-mm aperture, f/5.0 astrograph. Coupled with a reducer, it becomes a fast f/3.6 telescope. 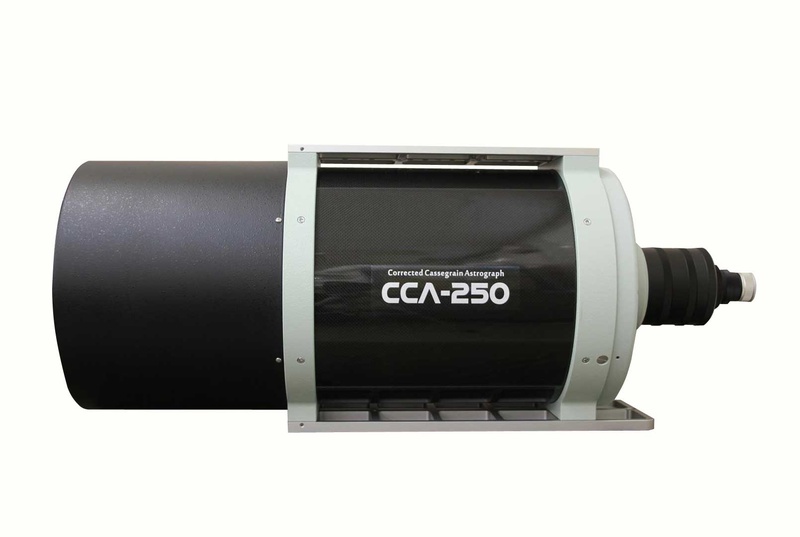 The CCA-250 has a carbon fiber tube and a temperature compensated lens cell to maintain focus during long exposures. The CCA-250 also has an ASCOM compliant active focus system that enables computer control of the focusing system.